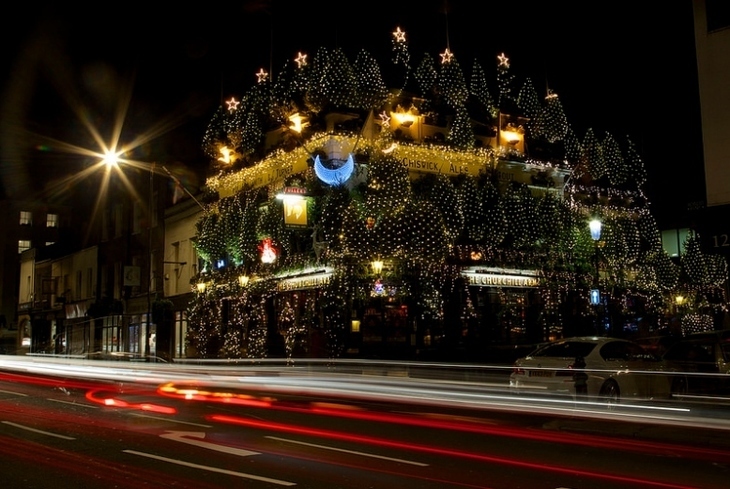 The Churchill Arms in Notting Hill: instantly recognisable for its floral/evergreen installations. But where does its name come from? How much does it spend on plants every year? And did Winston himself really make wartime broadcasts from here? 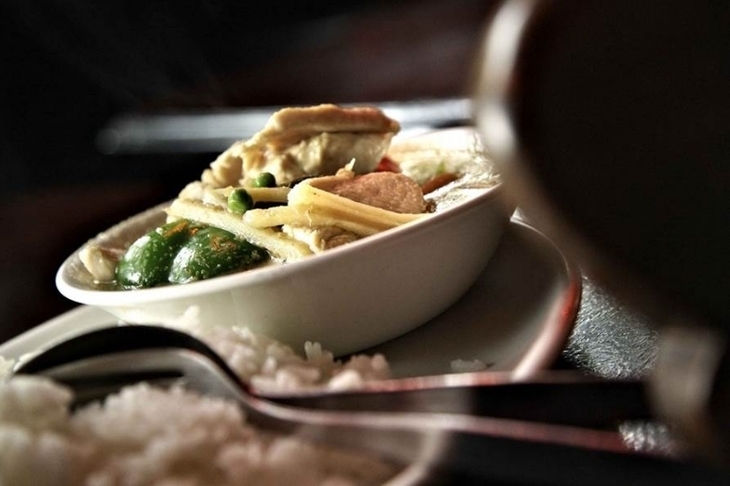 The Churchill Arms claims to be the very first London pub with a Thai restaurant, which opened over 25 years ago. These trailblazers knew the city was ready to pair a pad Thai with an ice cold lager, and opened their conservatory — complete with mini waterfall and real fish — in which to do it. 2. Does your annual salary cover their annual flower bill? 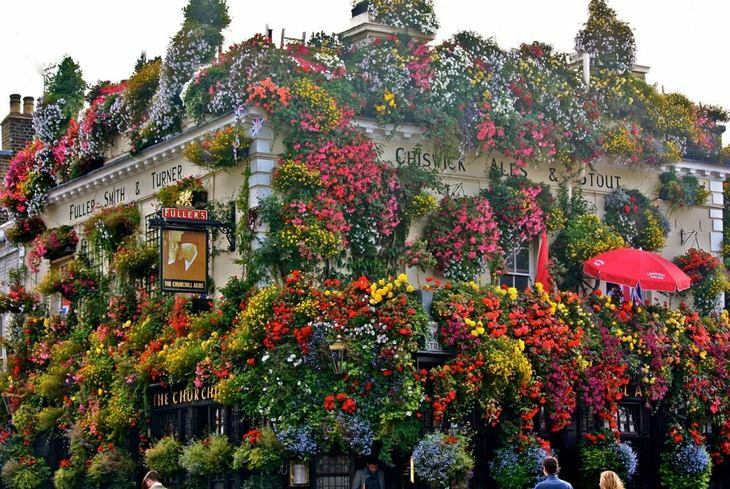 It's no surprise — at least to anyone who's set foot in the place — that the Churchill Arms buys A LOT of flowers. Still, it might surprise you to hear that the total cost is around £25,000 every year — enough to deck out 46 average UK weddings in blooms. 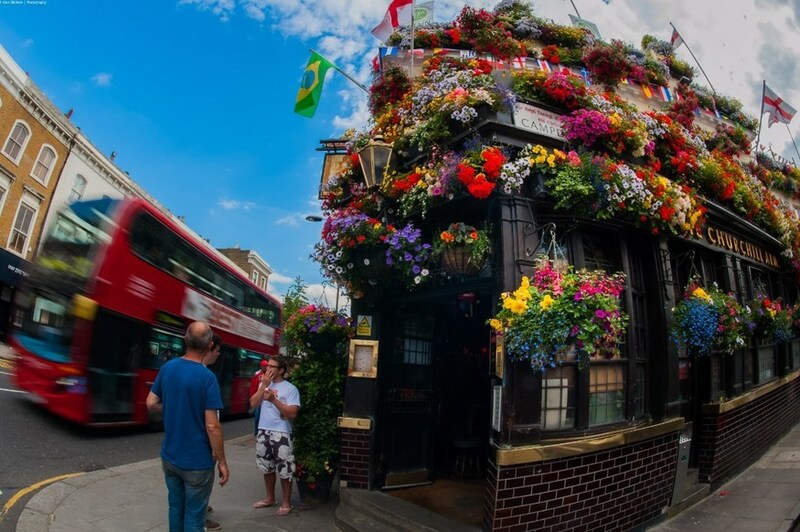 The pub's collection of plants started as a couple of hanging baskets and has, ahem, bloomed into 100 tubs, 42 baskets and over 48 window boxes covering the entire building, and spilling their colourful contents all the up to the chimney pots. About 90 Christmas trees, 11,500 lights — and £5,000 — later the Churchill is lit up like, well, a Christmas tree (or 90 of them). Gerry, landlord of the Churchill Arms. Photo: onenil v2. Landlord Gerry O'Brien celebrated his 30th anniversary as manager of the Churchill Arms in July 2015. 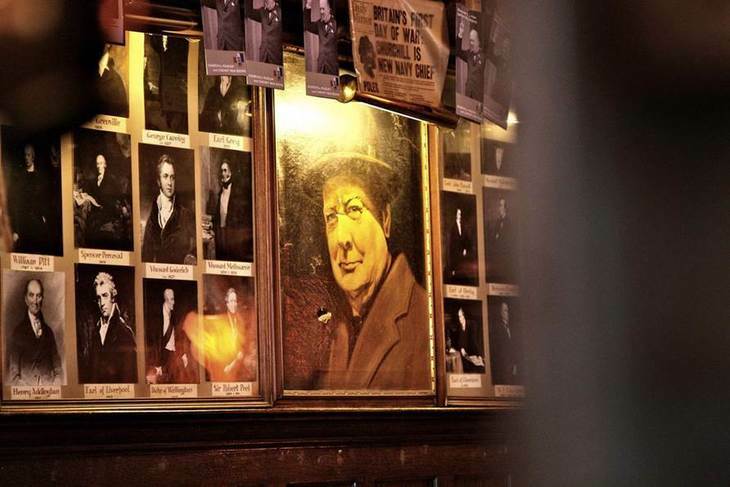 In that time he's served about two million pints of London Pride, filled the pub with London/Churchill-centric memorabilia, and transformed the the exterior of the pub into the urban garden we know and love. 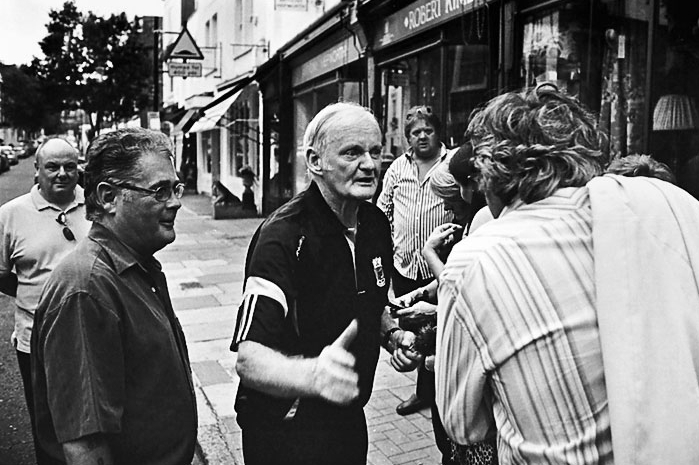 He's often seen sweeping the street in front of the pub, chatting to customers (see above photo). Gerry's hard work hasn’t gone unmissed: he's won awards including the Evening Standard Pub of the Year, London in Bloom, and even scooped a Chelsea Flower Show award. "Churchill made his wartime broadcasts here, and laughed at Hitler’s watercolours while drinking banana daiquiris and farting," is one such claim of the Churchill Arms, relating to its namesake. We ran this past Fuller's, and the sad truth is that Winnie did no such thing. Of course, the pub wasn't named after him, anyway, until after the end of the second world war. Why this particular pub? Churchill's grandparents — the 7th Duke of Marlborough and Lady Frances Anne Emily Vane — drank here regularly in the 1800s. So there's a nice family link, after all.